I have a feeling I'll be posting pics daily! 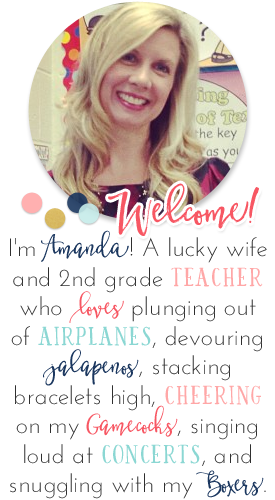 I love when I come across one of those "rare-never-heard-of-before" teacher resource companies. Especially when it's a gem like Gallopade. Earlier in the year, when we were doing biographies, I was searching for some age-appropriate books for some of the famous people my students wanted to learn about that I didn't already have books about in my classroom library. Let's face it. It can be tough to find age-appropriate biographies that have enough information to be valuable. I find that most books are geared toward K-1 or 4+. Upon my Google search, I stumbled upon these wonderful little books from Gallopade. I love that they contain so much good information, but at the perfect reading level for most of my kiddos. I also love that they include a glossary and a "pop quiz" at the back. Each page also has a puzzle (word searches, codes, scrambled words, etc.) 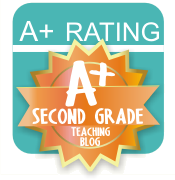 to keep students engaged and to teach them additional information! The great news is that they are only a couple bucks a piece since they are consumable! And, they have them on TONS of people - I'm talking the traditional people studied in classrooms (Amelia Earhart, George Washington, etc.) to more recent and/or rare biographies like Michelle Obama, Harry Connick Jr., or the Ringling Brothers). Click here for the 1,000 Readers List. As if that isn't enough...they also have amazing Digital Readers available for biographies. These are awesome for whole group lessons during your biography study - a book for your interactive board! They combine digital books with video clips (of kids just like your students giving important facts) and the puzzles/quizzes that similar to those in the 1,000 Readers. The Digital Readers also have a Vocabulary Builder Section and a Pop Quiz. Don't take my word for it though, try it out yourself! Gallopade has been kind enough to let me offer you a FREE Digital Reader of Benjamin Franklin. Just follow the directions below to access it! Then, click the "login" tab at the top. Try it out with your kids and see how much they love it! Of course, after this discovery, I had to search their site a bit more. That's when I discovered some of their awesome Mystery Series. 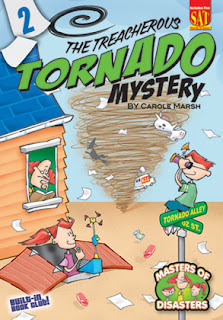 Always, looking to expand my genre possibilities, I wanted to test out the "Masters of Disasters" series - what a great way to combine this genre with our study of weather! 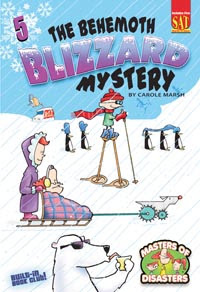 These chapter books are perfect for my higher-leveled readers and I think they'll really engage those students who prefer non-fiction over fiction....they'll still get a bit of those "facts" hidden in the story! If you spend a little time browsing around this site, you'll see lots of other amazing resources! And, be sure to check out their CATALOG to find new resources, like their cool write-on/wipe-off United States maps! I'll select the winner on Saturday! What a cool resource! 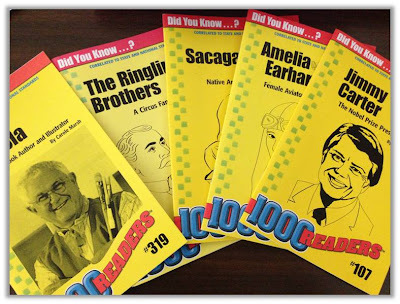 I think the 1000 Reader Biographies sound great! I liked Gallopade on FB and my FB name is Liz Langhoff. I would love the biographies! They look AWESEOME!! These are awesome! :) I love the 1000 Reader Biographies. I liked Gallopade and my FB name is Meagan Jo. I like them in Facebook! Erika Reyes. Also, I have NO idea how I can choose between the biographies and the mysteries! Too many good choices. If I win, then I'll have to make a decision for real. 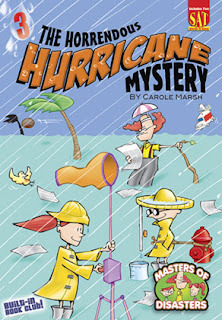 I would love the weather mysteries! 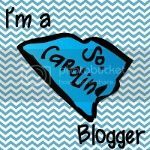 My FB name is Becky Atwood (rebecca.atwood@gmail.com) I'm going to go check out their site now! 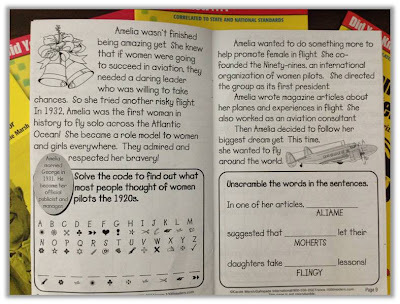 I love these resources from Gallopade and I especially love the 1000 Biographies. My FB name is Kris Wolff Davis Ferretti and my e-mail is kferretti@peachtreeacademy.com. Thanks for the opportunity! I'd love the biographies. My email: commonthreads@me.com. Facebook: What I Have Learned. What great resources! Thanks for sharing about them. 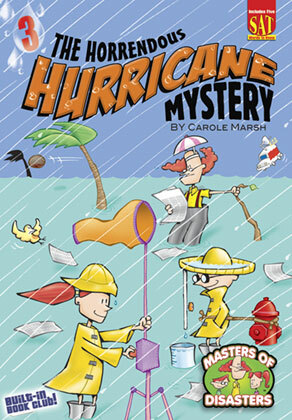 I really like the Masters of Disaster Mysteries. I want to read one!